Published January 1, 2018 at 3000 × 2096 in PORTFOLIO. 1, 13, 17 Years. Ongoing series. 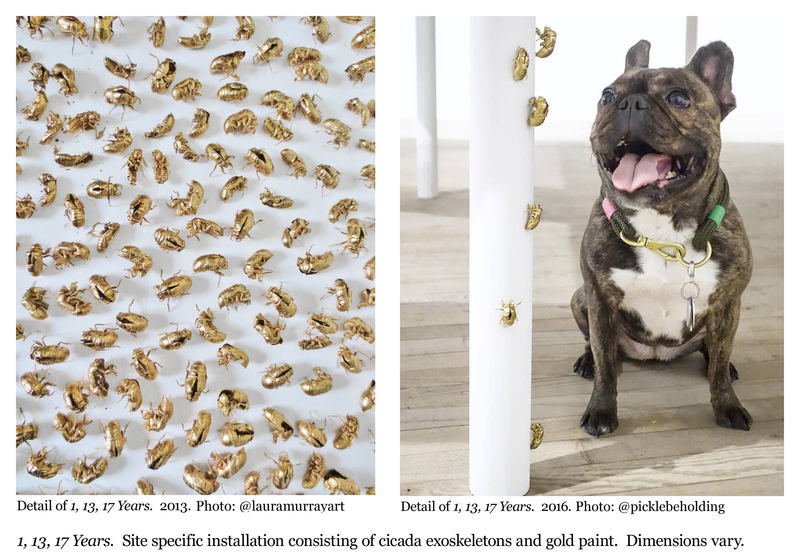 Cicada exoskeletons, gold paint. Dimensions vary.